The Nulka Active Missile Decoy protects ships from missiles and has been adopted by several nations. Its unique hovering rocket containing an active electronic warfare package has revolutionised ship protection. Once launched, Nulka can fly a pre-programmed flight path to entice sea-skimming missiles away from the ship. The system derived from a concept based on work undertaken by Defence scientists in the 1970s; and the belief that variable-thrust, solid-propellant rocket-motor technology could be used with guidance commands to enable the decoy to hover in controlled flight. 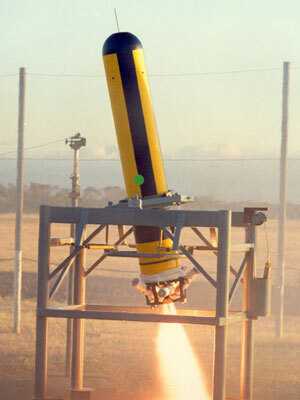 Following successful trials in 1981, DSTO (now DST Group) developed Nulka’s hovering rocket motor in consultation with the Explosives Factory Maribyrnong and the Ordnance Factory Maribyrnong (subsequently part of Australia’s ADI Limited). In 1986, Australia and the US undertook a full-scale collaborative engineering development. In 1988, AWA Defence Industries (now part of BAE Systems) was awarded a contract for the engineering development of the Nulka system and hovering rocket vehicle. ADI was sub-contracted to develop and manufacture the rocket motor at its Mulwala facility in NSW. A separate contract went to the American company Sippican Inc. to develop the electronic payload for the decoy. Meanwhile, between 1988 and 1992, Nulka was tested in DST's wind tunnel in Melbourne where its aerodynamic configuration was developed. In 1994, the licence agreement for the Nulka Decoy was signed between the Department of Defence and AWA Defence Industries. In 1996, Australia signed a Memorandum of Understanding on the joint production of Nulka decoys for the Royal Australian Navy (RAN) and the US Navy. In 1999, DSTO and BAE Systems signed a technology licence agreement for Anti-Ship Missile Simulation Software. This software has been incorporated into a Nulka Tactics Generation Model, which is used as a generic anti-ship missile defence modelling facility as well as for Nulka marketing and development. By 1999, Nulka was in full production for the RAN, US Navy and Canadian Armed Forces. It was used in active service in the Gulf War in 2003. BAE Systems, the prime contractor for the Nulka system, received a Commendation in the Large Advanced Manufacturer category of the 2005 Governor of Victoria Export Awards for its overseas sales of Nulka. According to BAE Systems, the Nulka project has created more than 400 jobs in Victoria and South Australia. It is one of Australia’s largest and most successful defence exports. For his contribution to the field of electronic warfare especially his work on Project Nulka.